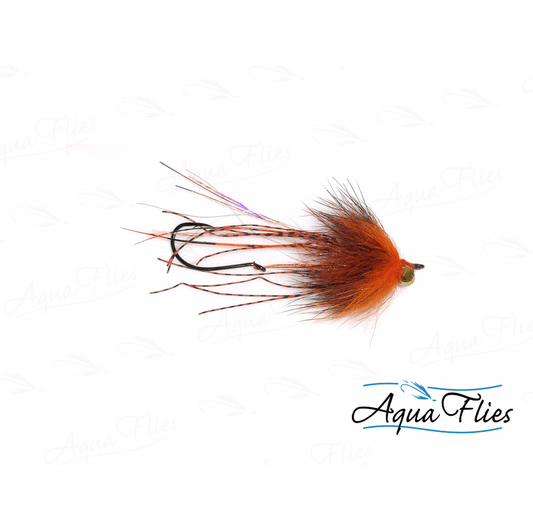 Bretts Klamath Intruder is especially effective when a very short, bold profile with a lot of motion is appropriate. Length? Roughly 1.0 inches long. Weight? The smallest sized dumbbell eyes keep these flies swimming true barely exceed neutral buoyancy. 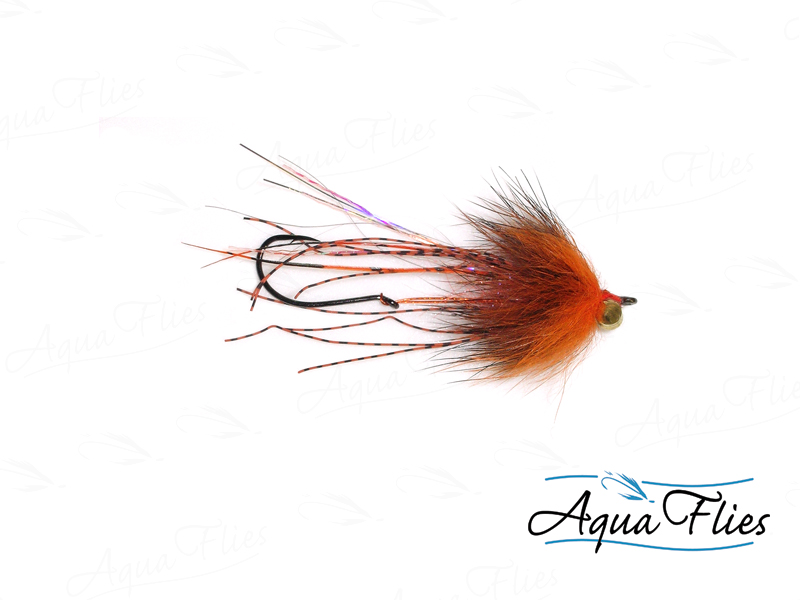 Always offered in a dazzling array of steelhead and salmon attracting colors. Hooks? Sharp and barbed, so we suggest that anglers gently pinch the barb. Replaceable Hooks? Yes, you can remove a dulled hook and replace it if necessary.